RepsForSecurity addresses the need in the physical and electronic security industry for a comprehensive perspective on an industry segment which has been vital to the industry’s growth – the manufacturers’ representative (“rep”). Established security manufacturers frequently use reps as a substitute or an enhancement to their own direct sales force. Early-stage companies often find reps to be an effective and immediate way to deploy a sales force. And companies whose primary strength lies in other industries may find reps an effective means to gain sales coverage in a non-primary market. RepsForSecurity will offer an expanding variety of resources to assist security reps and to manufacturers in recruiting and managing them. As the only comprehensive search vehicle to Manufacturers Representatives (Reps) in the Physical and Electronic Security industry, RepsForSecurity facilitates identification of reps by company name, by the manufacturers or products they represent and/or the territories they operate in. We will offer information concerning best practices for reps and those who employ their services. Simply hiring a rep does not guarantee success, as both manufacturer and rep must be committed by their actions and practices to make the relationship productive. Please note that RepsForSecurity.com makes every effort to verify the content in its database. However, there may be instances where information may be outdated, inaccurate, or incomplete. Please report any errors to admin@RepsForSecurity.com, and we will verify and correct the content as soon as possible. We welcome your comments and suggestions as we expand this valuable new resource. 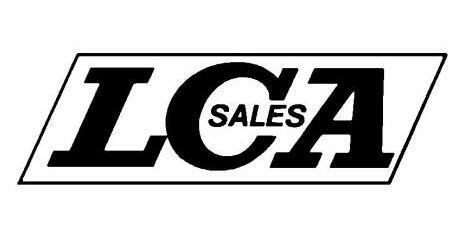 LCA Sales sells and supports leading edge security and surveillance systems. From specification, to product selection we design and integrate cutting edge technologies for the Security and Surveillance Industries. The LCA Team performs for you...with dynamic selling skills, extensive product knowledge and a full understanding of customer needs in the markets we serve. Effective teamwork and communication are always a priority.